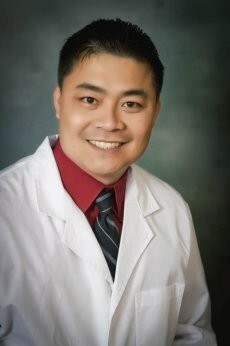 Dr. Jonathan Dinh is a physician practicing at TriValley Internal Medicine Group in Murrieta, CA. Dr. Dinh is great. However, some of the clerical staff needs compassion. I called 12x in 2 days never got return call. When I showed up Monday I was told to call Kaila. I went to date. She blew me off. You need people to answer the phones!! And, I wasn't the only one. Dr. Dinh is considerate of my mother's age and limitations. I appreciate his understanding greatly. Best physician we have been to! Please don't change. We are grateful to have found an understanding physician. Great provider and good programs. The doctor is knowledgeable in all health aspects. Dr. Dinh is the absolute best doctor I have had the privilege of having. He is knowledgeable and has a wonderful; bedside manner. I can't say enough about him. It's important to me to feel I can ask questions. I was with my present family doctor for 32 years.So, moving and getting a new family doctor has been difficult and Dr. Dinh has made it easier. Couldn't ask for better doctor - very pleased! Really like Dr.Dinh, explains everything. I adore Dr. Dinh. He is well informed, professional and just plain awesome. I have never before had a doctor that I trust as much as I do! Dr. Dinh has treated my mother for 9 years. Makes no mistake, the quality of his care and level of professionalism is a contributing factor to why my mother at age 88 is still alive. I am well satisfied with this fine doctor. Dr. Dinh provided me with excellent service. Great doctor! Most of my brothers and sisters also see him. Very impressed with the office staff and especially Dr.Dinh. I'm so happy I ended up coming here. Our family love to see Dr.Dinh. When you call to get referral, no one will call you back. I am trying for over a week. Dr.Dinh is a very good doctor. No complaints. Has been helpful getting answers to symptoms. Compassionate doctor. Listens and communicated with me in an understanding manner. I appreciate how Dr.Dinh actually listens to me and improves my concerns. I trust his honesty. Dr. Dinh is the best doctor. He is excellent. We love Dr. Dinh and Dia in the front desk. Been with this Medical Group for about 3 years. My 1st primary left and I now have Dr. Dinh; I'm very happy with him.